The long weekends come and go and so do your wishes and desires for that ever elusive trip that you keep telling yourself will happen to you. Let’s face it, dreams don’t come true on their own, you are the only person that can realise them. It is easier said than done, true, but it absolutely possible, and for that what you need is plan a trip properly. Planning is the first step towards success. 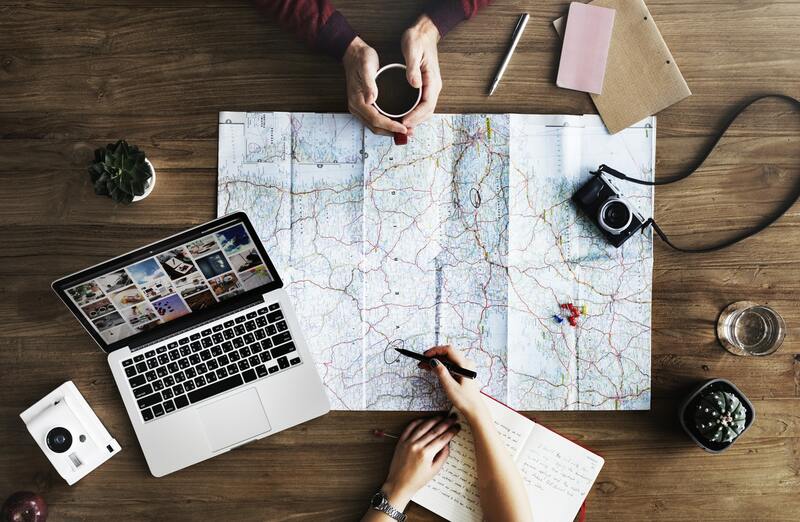 It is true that you can hire a trip planner, but it is also essential for you to have a plan yourself first. If you are thinking of where to start, you have come to the right place. This is it. The Ultimate guide to planning trips. I know, I know, you already have a huge list of places where you would rather be. That is exactly the problem. You need to cut everything down to one place. This is can’t be based on a whim really. There are certain things you need to consider before coming to a decision. The key deciding factors are the weather and whether the place is accessible at that time or not. This information is abundantly available online. No matter how much we might want to get lost to never be found, the reality is working against us in this case. Like the destination, the duration of the trip can’t be decided on a whim either. Most of the times the decision will be based on your work schedule. This decision will also play a part in deciding your destination, so the ordering of the points is not chronological but interconnected. The function of a plan is to streamline your route so that you can accomplish goals with minimum hindrance. Due to the nature of our existence, we have limited recourses which we need to assign to certain tasks. A budget is a part of this process. This can also play a part in deciding where you will be able to go and how long you will be able to stay there. The best way to approach this would be to have a rough budget in your head and break it down according to the days that you plan to stay. This budget will include how much you will be spending on your food, lodging and commuting. You should also set aside a miscellaneous amount as there always are variables that cannot be foreseen. The final part of any plan is the execution because without it everything else is rendered meaningless. Book everything that is possible beforehand. Train/Air tickets, hotels and even specific tickets such as monuments and parks (if possible) should ideally be booked when the bookings start especially if you are planning to visit a place during its peak season. All this might sound intimidating but have faith in yourself. You can do anything that you your mind to and planning and executing a trip is perhaps the easiest achievement you will ever have in your life. Keep calm and stay confident. You’ve got this!